Each Kii THREE contains six channels of DSP, D/A conversion and power amplification. Few companies could pull off such a densely packed design with truly world class performance electronics. 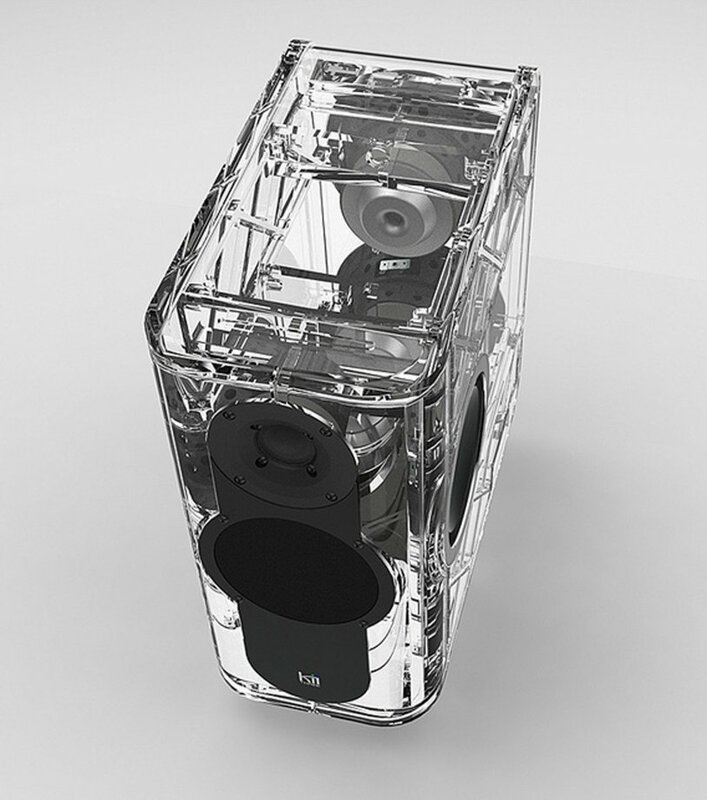 But then again, few active speakers are designed by people who have previously turned high end power amplification and digital conversion around. Each Kii THREE holds 6x250W power amplifier boards, designed by Bruno Putzeys using the latest iteration of the Ncore class D technology which he invented for Hypex. 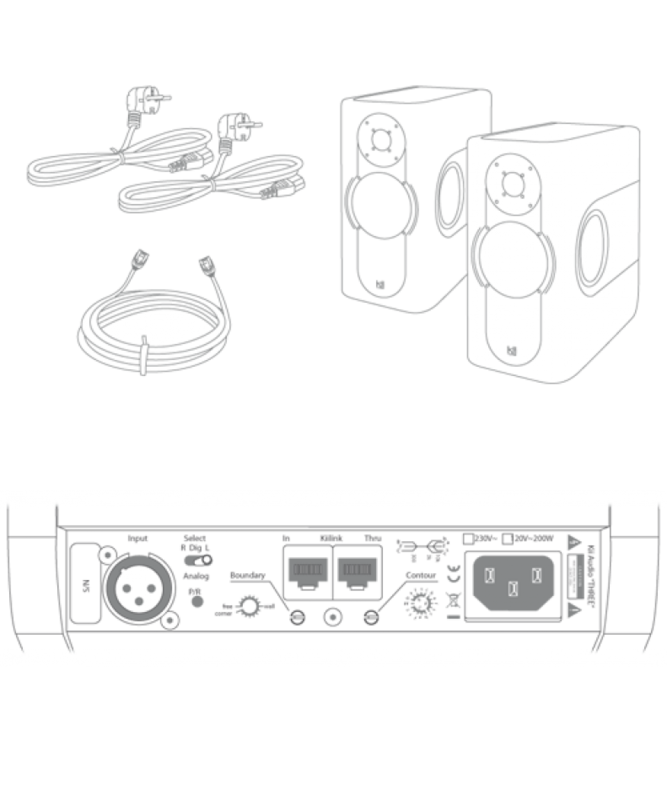 Unique to the implementation used in the Kii THREE is a combined voltage/current control loop that goes beyond merely a better amp – it actively improves the distortion performance of the drive units which contributes significantly to the extreme resolution of the speaker. Naturally, this means that the performance of the AD/DA conversion has to match that of the amps. This task fell to Bart van der Laan who has a long track record designing DSP and converter boards for high-end professional audio equipment. Kii Audio’s implementation is a runaway success: a complete pass through the AD/DA circuitry of the THREE’s signal processing board is entirely inaudible, a feat not duplicated by the most expensive audiophile standalone units. Alongside the Active Wave Focusing filters the DSP is responsible for keeping the drive units within their safe operating range by gently adapting the filters instead of brutally limiting the signal, allowing the THREE to play significantly louder and cleaner than much bigger traditional designs. On the input side there is a choice of analogue, digital inputs. All digital inputs are re-sampled and reclocked using Kii’s own jitter rejection algorithm that guarantees actual “bits is bits” audio performance for any digital source. The electronics package alone sets a milestone. What it does in concert with the unique acoustic design defies imagination. You have to hear it to realise the magnitude of the revolution the Kii THREE represents. SPDIF, TOSLink, USB on Kii Control.